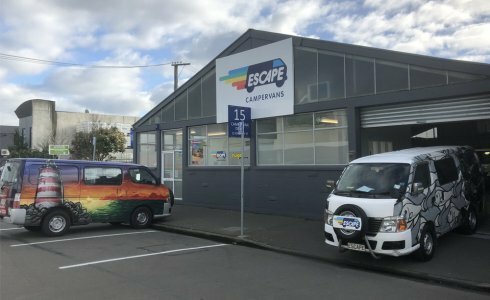 Escape Rentals has two campervan depots, both centrally located in Auckland and Christchurch (just 5 -15 minutes walk from the CBD). Swing by if you want to check out our vehicles before you book with us. If it’s a quote you’re after or if you want to book an Escape campervan, use the quote/booking panel above or feel free to contact us. Our staff are here to help. Pickups outside these times can sometimes be arranged for an extra fee ($125 – $175), but you’ll have to check if this service is available with us first. 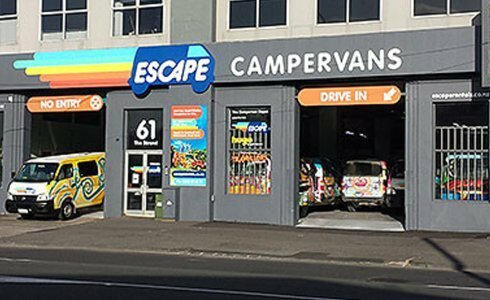 And you will be charged this fee in addition to your daily hire, so we recommend our campervan hirers spend the first night in a hostel or hotel before collecting your vehicle, particularly after a long flight. It’s safer, probably cheaper and this also addresses any issues that may arise from late flights or missed connections.